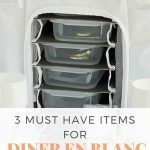 Have you ever wondered about all of the things that have to happen on the other side of Diner En Blanc? All of the work that goes into creating the magical evening of elegance and entertainment? All of the hours put in by hosts and volunteers to plan and execute an event that has hundreds, if not thousands of attendees? I’ve often wondered when the hosts start planning, how they make decisions, why the rules are important, where they find volunteers, and why they do it. After all, what’s in it for them? 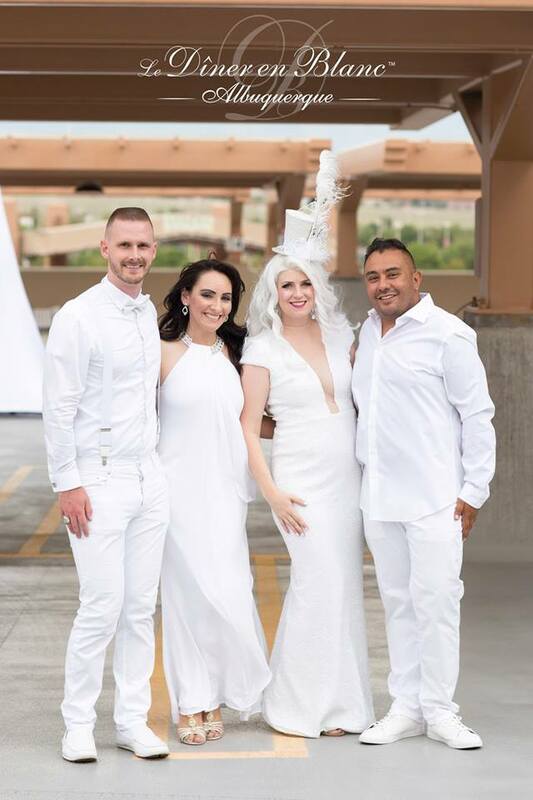 Fortunately for me, I was able to sit down with the incredible, AMAZING hosts of Diner en Blanc Albuquerque to find the answers to some of those questions. Taylor Trodden, who’s been a host since the first DEBABQ back in 2014, Cat Hanna, who joined as a host in 2015, but was a group leader in 2014, and David Stroud who also joined as a host in 2015, have worked tirelessly over the last few years to create a unique, community positive event that has doubled it’s size since its inception. The hosts (and volunteers) work 9-5 jobs and work on DEB when they have time (in the evenings, on the weekends). 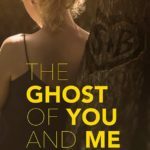 I met with the hosts two weeks after DEB Albuquerque 2016 to talk to them while things were still fresh on all of our minds. 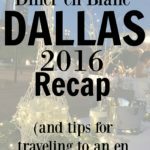 I had just come back from DEB Dallas 2016 and shared with them about that event. (You can read more about that here if you are interested). 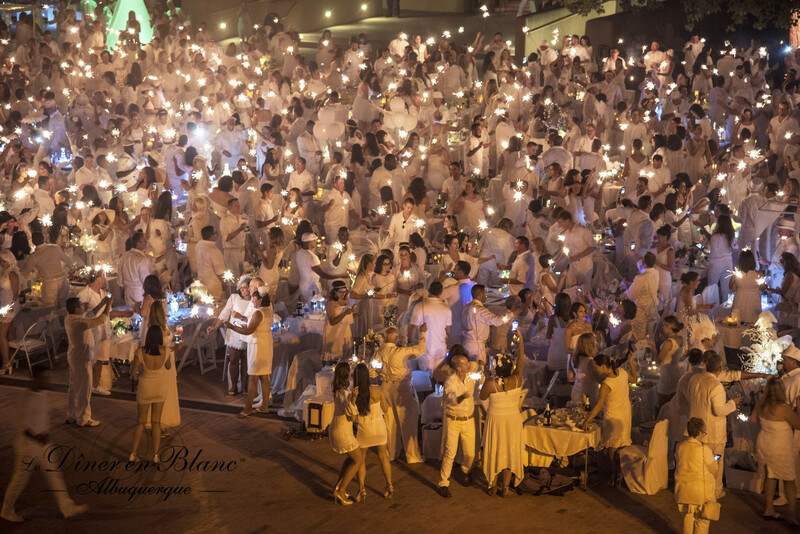 Question: When does planning start for the next Diner en Blanc? Answer: Planning begins almost immediately after the conclusion of the previous event. So basically a year in advance. (In fact, the day I met with our hosts, they had a potential site walk through immediately following our meeting). 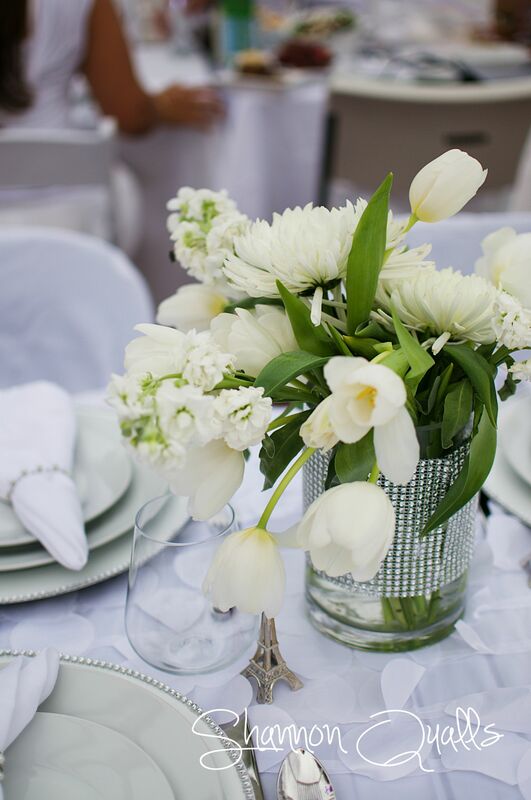 Question: How much time is spent planning/coordinating Diner en Blanc? Answer: The hosts work about eight hours a week in their respective areas organizing, finding volunteers and vendors, brainstorming, and doing anything else that needs to be done. As the event comes closer, more time is invested into the event. By the six week mark, it has essentially become a full time job for the hosts (usually when ticket sales begin things really start to pick up). About a month before tickets are released, there is usually a preview party and date announcement. It’s a time for the hosts to bring the assembled team together in a smaller, informal gathering. Old and new prospective guests can sample the wine offerings that will be sold that year, mingle with other prospective attendees, visit sponsor tables, gain table inspiration and have a night of anticipation. The hosts organize this event as well, using their talents and energies to stir excitement for the event. Question: What kind of things have to happen to pull off an event of this magnitude? Having a secret location can create different difficulties for organizers. What kind of things need to be addressed? 1. VENUE- A venue that can hold all of the guests, sponsors, and vendors has to be secured. It also has to be kept a secret. 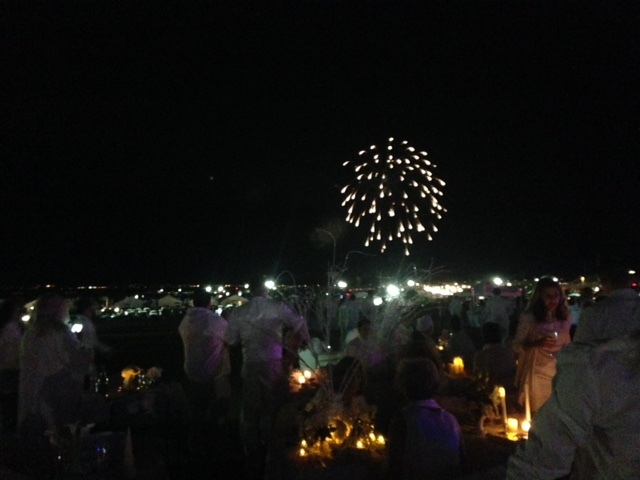 After all, that’s part of the magic of Diner en Blanc. 2. BUSES- Perhaps one of the most important aspects for the evening is transportation. In some of the larger cities, public transportation (which I’m sure has it’s own challenges) can be used, but in Albuquerque, we use buses. The hosts have to secure over 40 buses (some charter, some school). 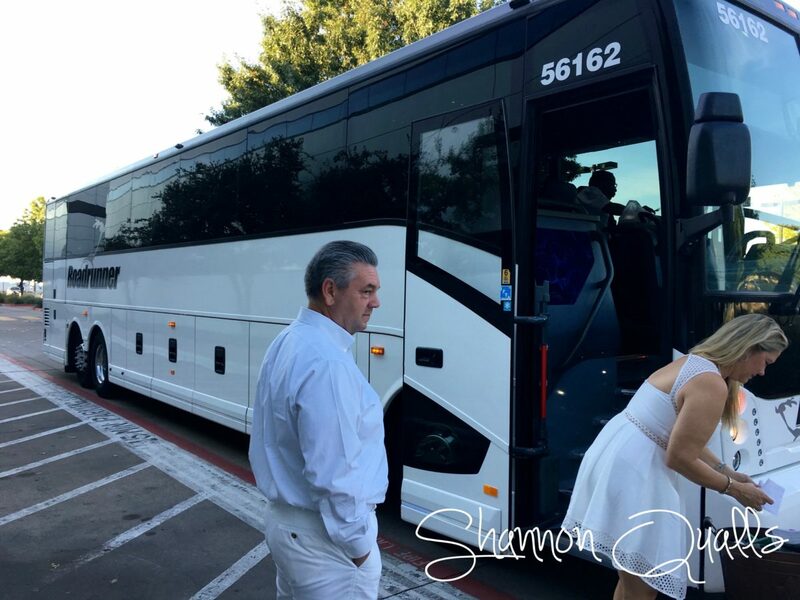 In Albuquerque we are limited with the number of charter buses we can secure unless we hire from out of state (which does cost more), so the hosts do everything within their power to make sure that they pick a date when the most buses are available to them. Usually that means our event happens on a Thursday night. This is for a few reasons: They have to work around school bus schedules and other city events or tours that may be happening at the same time. It’s also why the hosts start planning a year in advance. 3. PERMITTING– Permits have to be acquired to host the event. Permits have to be acquired to host the event. I’m not even sure what all those permits are (I imagine there are some about fires, music/noise ordinance, alcohol and large groups to start), but I’m sure they are plentiful. And necessary. And not free. Question: How is the date picked for Diner en Blanc? Answer: There are a number of factors that go into choosing the date of the event. Number one (at least in our city), is bus availability. We need the transportation. Because a lot of the events have been in public places, government schedules have to be checked— in other words making sure that their won’t be other events happening at the same time in the same place, stretching resources. In addition, the weather has to be taken into consideration. In sunny New Mexico, a few weeks for an outdoor event can mean the difference between the high nineties and the high eighties. And let me tell you, that type of temperature change can make a difference. Venue also has to be considered. Can it hold and accommodate a group of that size on that date? Did you know? The DEB hosts have a checklist of over 80 items they have to complete for DEB International? That’s a lot of work! Question: How is the budget determined/distributed for Diner en Blanc? These events are NOT free for the hosts to put on. As great as it would be, for businesses to offer their services for an incredible community event, it’s not possible. They have to put food on their table, pay their staff and secure their rent. In other words, there is a reason that this event costs money for the guests to attend. If you compare it to a night at a professional sports game, or even a concert, it would probably be the equivalent if not cheaper (depending on what you do and if you attend more then once). To all the nay-sayers out there- we all spend our money differently. It’s okay if this event isn’t for you. No one is forcing you to spend it. For those of you attending and unsure where all of the money is going, it’s going to buses, to vendors (photo booths, caterers, decorators, dj’s, photographers, videographers, and lighting to name a few), to permits, to the venue, security, bathrooms (if the venue doesn’t have them), clean-up crews, marketing (Facebook ads, signage) and to the WOW factor. There are so many other minuscule things that you wouldn’t even think about that cost money. For example, the food and drink tokens and the pouches to put them in. They aren’t free but are a detail that can’t be overlooked. And taxes. Let’s not forget about taxes. The hosts of DEB Albuquerque try to budget for this event so it can be self sustaining. When they budget, they make sure they secure contracts that can be covered by ticket sales with a little left over for the preview party the following year. In addition to that, Diner en Blanc International receives some funds for allowing the use of their name and concept. So what does that mean? It means that if tickets are $38 per person, $76 for a couple (as they are sold), and $8 goes toward processing, with another $8 toward the membership fee, the hosts only have $60 per couple ($30 per person) to make magic happen, working within a budget (it’s actually a bit less then that with some of the other fees they have to pay). It’s no easy feat and I have to say, to the hosts and to the vendors that they work with- YOU ARE AMAZING and THANK YOU for doing what you do. 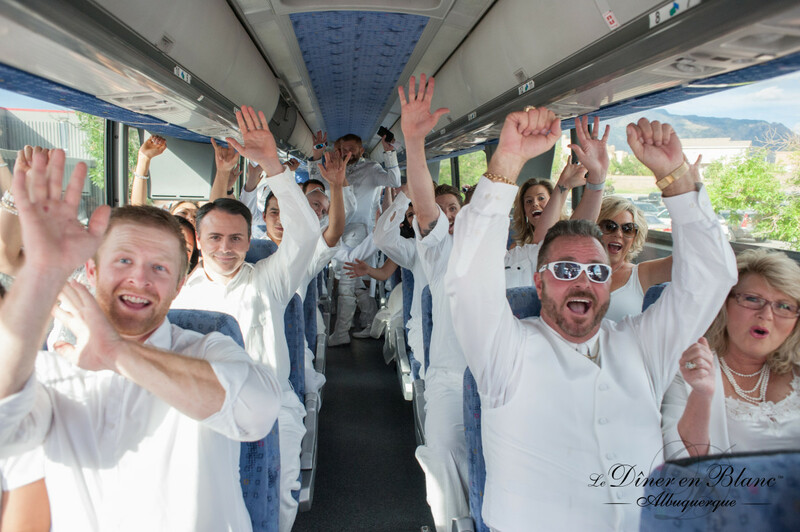 Question: How much money do the hosts make doing Diner en Blanc? Answer: Do the hosts themselves make any money from the event? After all, they spend a year securing buses , a venue and any number of other pieces to fill in the puzzle. 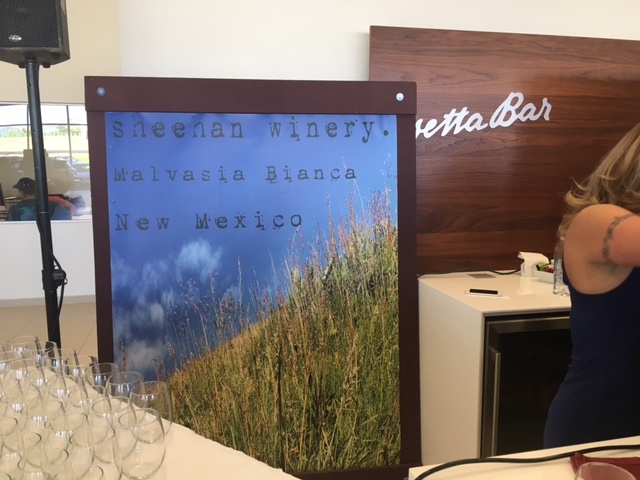 Again, while I can’t speak to other cities, I can say that the hosts of DEB Albuquerque pour their hearts and souls into creating an incredible evening for guests, and they do it for pennies. They reimburse themselves in the event they have to pay for something (like signage) from their own pockets. All in all, they might make an average of $1900 each on the event over the last two years. Which is pennies when you think about the number of hours they invest into the evening. 5 hours of work a week. 52 weeks in a year, subtracting 6 weeks for when they go, “full-time”, is 46 weeks. Subtract an additional 6 weeks of, “part-time” (preview party, marketing, and organizing volunteers) is 40 weeks. Subtract another 16 weeks for the first four months when they work 8-10 hours a week is 24 weeks. 24 weeks at 5 hours a week is 120 hours of work. 6 weeks of 20 hours a week is 120 hours of work. 6 weeks of 40 hours of work (which is not their full-time paid job BTW) is 240 hours of work. 16 weeks of 8 hours a week is 128 hours of work. 120 + 120+ 240+128 = 608 hours. If they each work 608 hours over the course of one year for this event and make $1900 each, they make about $3 an hour. That’s way less then minimum wage. For us. That’s bananas! Do us all a favor and profusely thank your hosts the next time you see them. Seriously. Get them a gift card or write them a thank you note. Because that’s bananas. 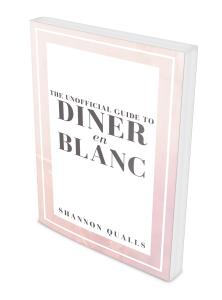 Question: So if the hosts don’t make any money off of Diner en Blanc, why do they do it? Answer: A few reasons. The end product. They love seeing the night come together, as I suspect many of us do. 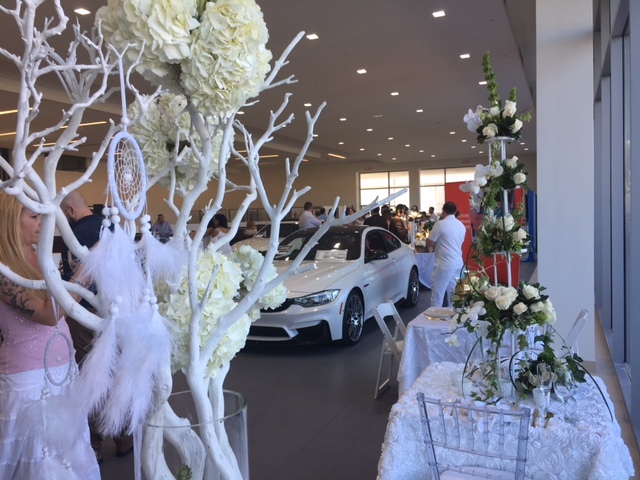 Seeing the looks on peoples faces when they walk in to the secret venue, when the tables are set and the music plays, a sea of white glitz and glam everywhere you turn, it’s pretty incredible. And they love it. Another reason? The value it brings to our community. 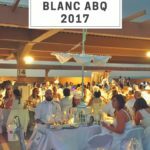 Albuquerque doesn’t always have the best press, but Diner en Blanc brings people together in a completely different and positive way. It’s a chance for people to dress up and let loose. There is an air of mystery and excitement around the event that is different from anything I’ve ever experienced and the hosts just really love making that happen. It’s a labor of love on their part. They can enjoy company in a special, unique and memorable way. Question: Why are they so strict about the rules? When they say white, how white? Is it okay if it has a black stripe? Will they really blacklist me if I sneak by with a little color? Answer: They are dead serious about the rules. And with good reason. Something you may not know? Local hosts are required to provide a 3-5 minute video from the event as well as professional photography to Diner en Blanc International. I mean, why wouldn’t you want an amazing night documented and shared? But because the night calls for ALL white, and not just any white, but DIAMOND white (more on this in a minute), any footage or photograph that has an infraction CANNOT be used. So if the photographer happens upon a table and someone has a black stripe on their hat, that photograph/footage can’t be used. That’s money that was paid and wasted. Those pictures (while beautiful) basically become trash. And no one likes to waste money. So how do you know if your outfit is diamond white? It can be kind of hard to determine if you’ve never paid attention to whites before. There are creamy whites— you definitely don’t want those— that have a bit of a yellow or pink undertone. Then there are true whites. They almost have a blue undertone and if you see them in the light they kind of blind you. Think of crisp, white bed sheets or white french porcelain. Fine dining tablecloths or bright white walls. That’s the kind of white you are aiming for. If you are interested in more about dress, shoes or what to pack, check out my ebook here. Will they blacklist you? I guess the better question is, do you want to risk it? You might be a rebel and get away with it that year, but that doesn’t mean the following year you’ll receive an invite back. And honestly, if the rules bother you, it might not be the event for you. Is it fun? You betcha. Is it different and unique. Yup, sure is. Is it worth it? 100%. But only if you’re willing to play along. Because if you don’t, you may just ruin the night for yourself and someone else. 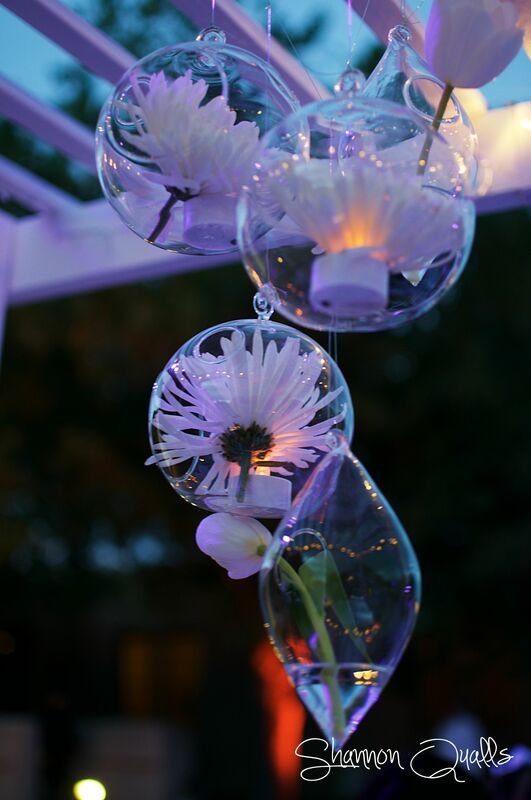 Question: How do the hosts pick the vendors for Diner en Blanc? Answer: They are beasts. There is no other way to explain their awesomeness. They know people, have worked with people and are true professionals. Sometimes some things are determined by the venue, while other things are determined based on relationships. They send out requests for proposals (RFP’s) that they put out for bids. They work with people that are local, whose work they’ve seen and who are willing to work with them. Question: It’s been said that in some cities Diner en Blanc leaves a huge mess that the city then has to clean up. Is that true? Answer: In some cities, that may be true, unfortunately. 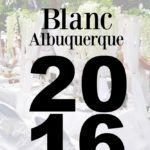 But in Albuquerque, as with the guidelines and purpose proposed by Diner en Blanc International, they do not. 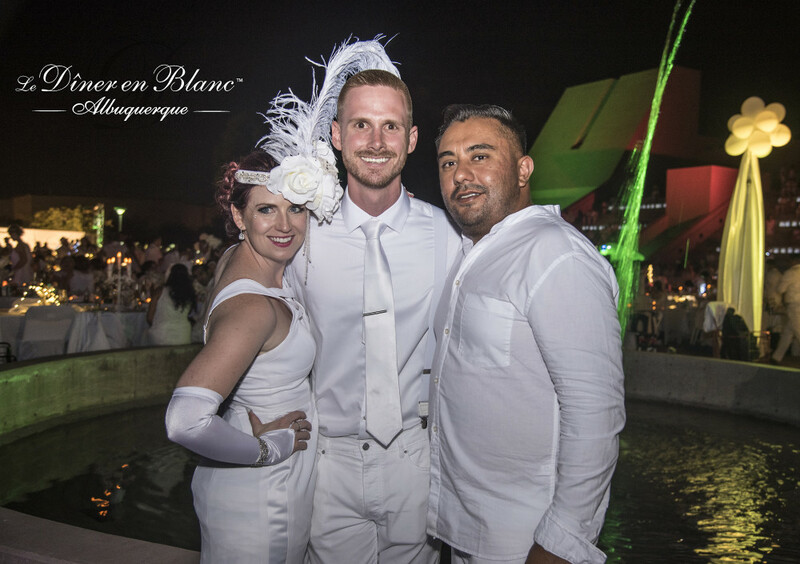 Part of Diner en Blanc Internationals vision is to bring communities together in a unique way, highlighting local businesses and working to generate communal relationships. Another part is to be environmental conscience of the impact they make on a space. That’s why one of the rules is to remove EVERYTHING you bring with you (trash included). In Albuquerque, we have been fortunate that many of our sites have had on-site trash reciprocals that were were permitted to use. Something you may not know, is that the hosts of the even hire a clean-up crew to go back through the entire site at the end of the night and clean everything. They also return the following morning and do a walk through of the space to make sure that everything meets their expectations— leaving the space in as good as, if not better condition then they came into it. 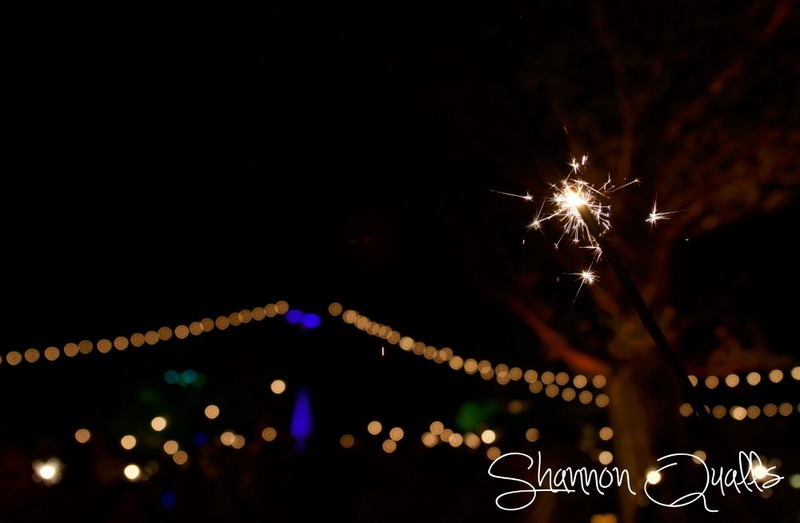 The hosts also bring in 30 white buckets to collect all of the sparklers at the end of the night so they aren’t left scattered around the event space. Question: How do you set up a Diner en Blanc event in your city? Answer: There is a lot that goes into setting it up. 3. If you are still interested, you have to create a team of at least three people with experience in managing events, marketing, and systems and administration. 4. There is a vetting process with letters of recommendation. 5. You and your team create a mock event with potential venues, the weather for the times of year, and dates you are thinking of (to start with). Having designated roles is essential to pulling off the event. Someone to focus on systems/admin/volunteers, someone with a production background and someone who can focus on marketing/sponsorships (otherwise known as partnerships). 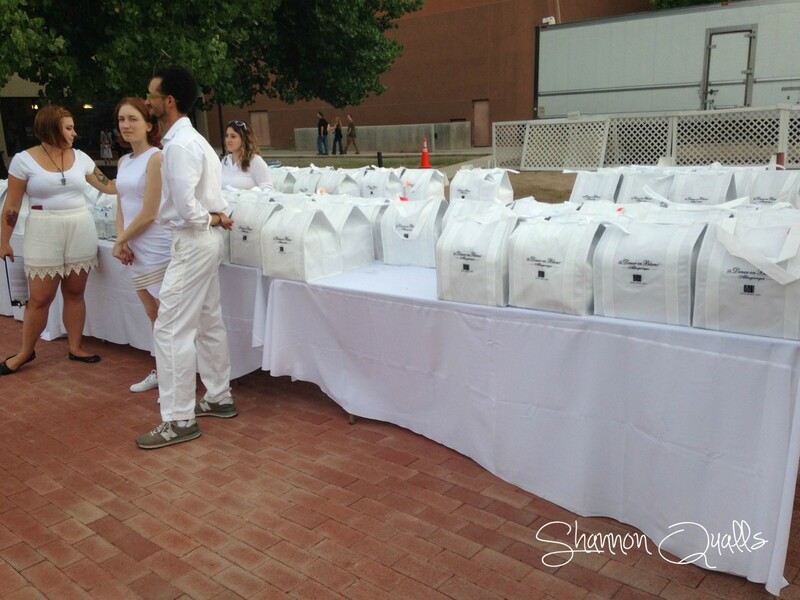 Diner en Blanc encourages partnerships with local, boutique businesses. That is part of the goal after all— a positive community event. And what better way to do that then to showcase local businesses? I hope I’ve answered a lot of your questions! If you have any leave a comment below and I will do my best to answer them. 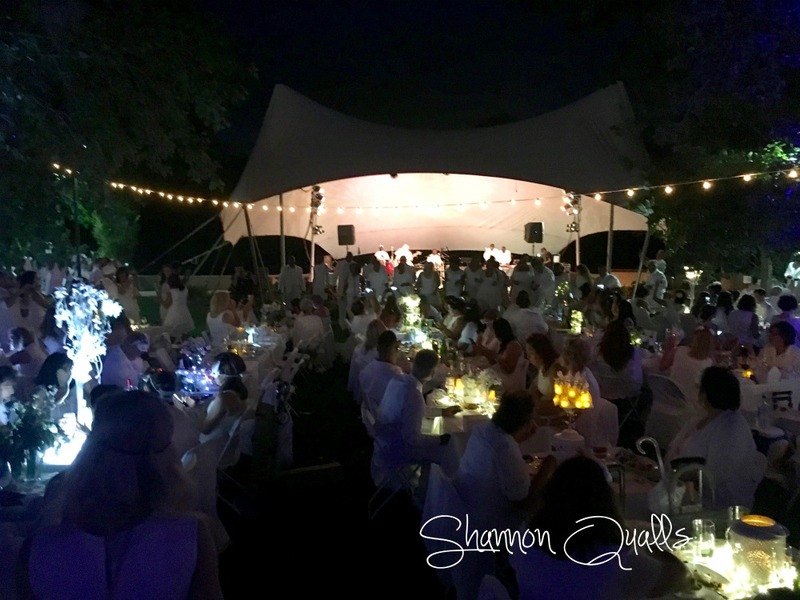 Diner en Blanc is seriously one of my very favorite events and I hope you get to experience it someday!